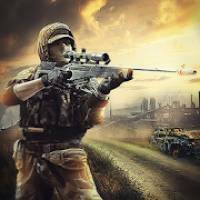 Modern Critical Warfare: action offline games 2018 is a Action android game made by STJ Games that you can install on your android devices an enjoy ! 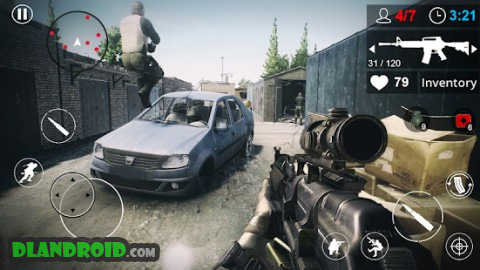 Modern Critical Warfare is a action fast-paced first person shooter game.Are you ready to become real action hero? Because you get chance to play best fps game on android.Modern strike warfare has stunning graphics, even on low-performing devices. Counter terrorists to blitz the unkilled enemies! You are a part of special modern war strike where you fight like in real world war and assassin all the undead enemies for survival of the last day on the earth in best open world games. Remember spy agent you got two options live or death.Lead resistance and command elite force in offline games action fps and become real veteran war solider.You will be the hero of world war in this modern online FPS arena shooter who will lead the war solider through ruined cities,forests,deserts and area taken by enemy with full commando Action. 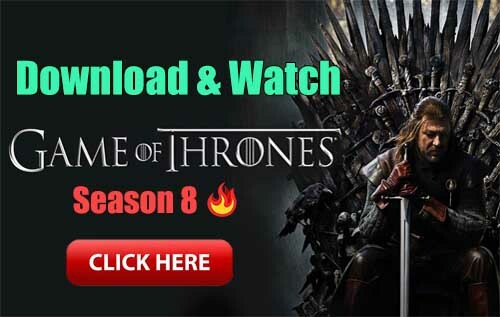 ❖ Easy and amazing control! ❖ Games where you create your own rules! ❖ Perfect optimization, even on weak devices! Modern Critical Warfare is optimized for low end mobile, now everyone can enjoy beautiful and stunning graphics in this counter terrorist games. File size of game is also highly optimized to save your internet data. Now enjoy your best fps shooter game. Amazing Eye-Catching Environment with completely new best first person shooter gameplay set in ruined deserts, sieged cities and horror forest etc in NO.1 first person shooting games. Stunning outdoor and indoor environment with time and weather variations.High and stunning graphics for mobile in top action fps shooter game.You can hide in bushes and trench to avoid sniper assassins, Anti-counter terrorist , spy agents and special force.Realistic best open world game environment that will enhance you fps gameplay experience.Use your military warfare tactics to counter terrorists. Build strong weaponary for gunship war with best tanks, face world tank war with insane tanks. Command the elite sniper killer force against raid force and insane enemies form frontline with next-gen fps weapons such as Rocket launcher, drone, tommy-guns, pistols, grenades, body armors and be a real world war hero. Build your own weaponary to counter terrorist as special swat force member.Fight critical battles use sniper rifle like sharpshooter for the silent assassin of insane brutal enemies.Massive range of modern weapons like Ak-47, M14, Mp5, eagle pistol, M1 Garand, RPK-74, M40 rifle, M79 grenade launcher, M1911 pistol, assault rifles and many more in No.1 mobile first person shooter game. 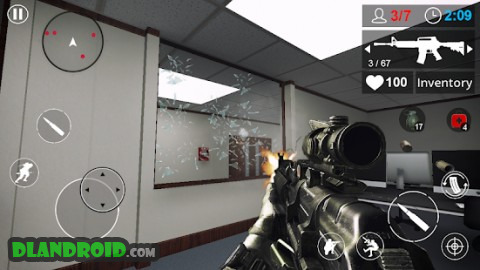 This modern online FPS arena shooter game has a powerful arsenal, which has a variety of powerful weapons. Weapons can customize to counter special forces in best action shooting games. If you don’t want to play modern strike warfare online no need to worry enjoy this fps open world game with deep storyline with amazing battlefield fps game environment. Modern strike warfare is best offline fps shooting games.Upgrade your special abillites and skills to become more stronger and more lethal as a best military shooter and stealth game killer. You need to play more and more to acquire military warfare tactics and to counter terrorist. Easy interface won’t leave you struggling to learn them first. Modern control gives you immersive feeling, just aim, press trigger and shoot all the bad guys with easy controls and lead the frontline of adventure heroes in action fps game.